You might think that the entrenched and globally-recognised luxury brands have no problem generating Cultural Traction™, associated as they have long been with glamour, glitz, aspiration and desire. Brand development and marketing insight consultancy, Added Value’s latest Cultural Traction™ study reveals that the (for many) iconic Chanel and Louis Vuitton ranked 14th and 21st, finding themselves out-shone by technology and lifestyle brands like Apple, Samsung and even, IKEA. Most worryingly for these purveyors of luxury, is that this proves true even among the wealthiest cohorts interviewed for the study. Leading the Cultural Traction™ 2013 list (which polled 62 000 globally), is Google. Also featured in the Top 10 on a global basis are Apple (2nd), Samsung (3rd), IKEA (4th), Microsoft (5th), Sony (6th), BMW (7th), Audi (8th), Coca-Cola (9th) and eBay (10th). Commenting on 2013 report, Added Value South Africa said measuring and understanding cultural relevance is vital for a brand’s success because only culture can tell whether the brand has got it or lost it. “Brand equity measures brand health today, an important metric for any brand. 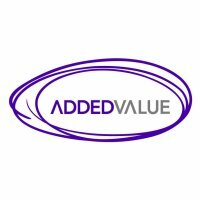 But Added Value’s VIBE provides a third dimension, a view on the strength of the brand’s momentum for tomorrow. As shown by the study, Chanel, maker of one of the 21st century’s most iconic perfume brands, finds itself perceived to be less culturally vibrant than a manufacturer of low-cost, flat-pack, self-assembly furniture. Added Value suggested one explanation could be that myths are hard to defend and renew. “Globalisation and the free-flow of goods and information are a challenge to luxury brands, whose appeal rests on principles of scarcity, uniqueness and a sense of intimacy. In a world awash with counterfeit goods – claim and counter-claim – preserving the purity of the myth becomes significantly more difficult. 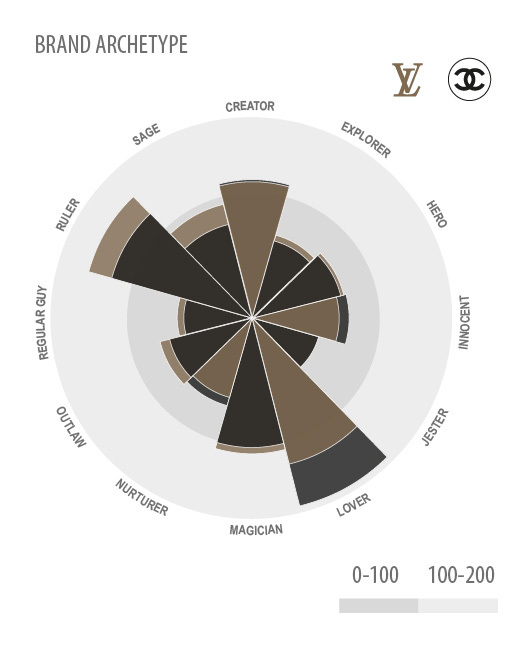 It suggested the answer could be found in the surprising fact that Chanel, whose marketing tactics are currently more conservative than the experimental Louis Vuitton, is actually generating more traction than its rival. Family-owned Chanel is still operating in a fairly discrete and secretive fashion. Intimacy and direct consumer interactions are still the key operational principles of a brand that refuses to be distributed online. It favours tailored, high-end services, such as at-home trial sessions for its VIP customers. Overall, Chanel is sustaining and nourishing the myth of craftsmanship, intimacy, and exclusivity. Product launches build on references to the house’s founding icons, such as the 2012 worldwide launch of the ‘The Little Black Jacket’ exhibition, celebrating one of the brand’s ‘timeless classic’ designs. Invitation-only parties amplify the sense of exclusivity. 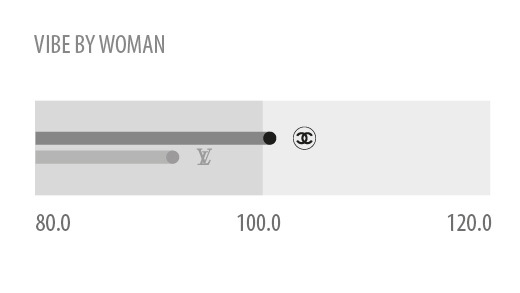 Chanel’s portfolio is also managed in a tighter fashion with a stronger focus on females, resulting in higher marginal scores amongst this target audience. 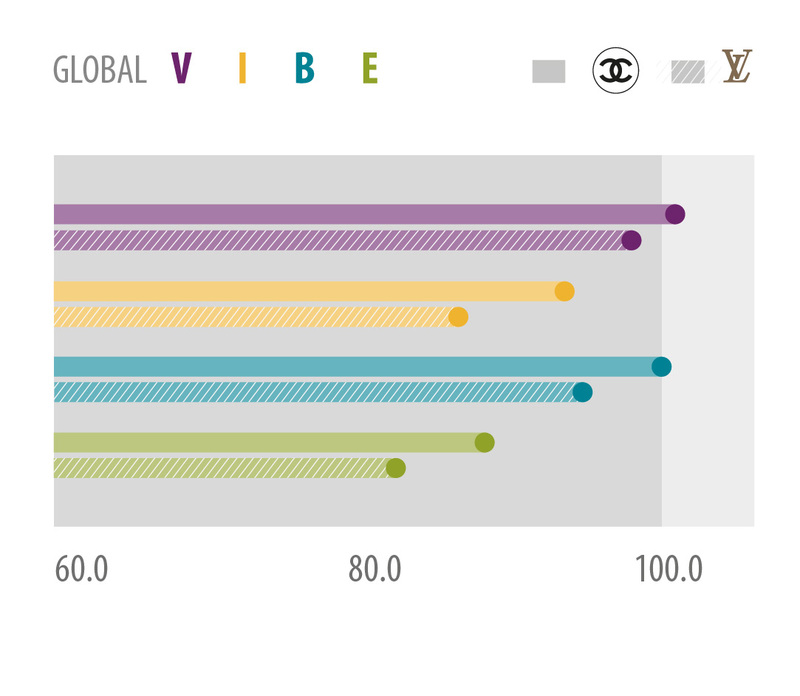 Chanel is showing a clear lead over Louis Vuitton when it comes to attracting 16-34 year old females. This is even more pronounced amongst leading edge consumers. Louis Vuitton was very active in 2012, following the launch of its ‘L’Art du Voyage’ campaign, disseminated worldwide across many channels from museums to online. One perceives a more audacious and ambitious approach from the brand in its marketing. But in its effort to disseminate more widely and via more channels does Louis Vuitton run the risk of diluting the exclusive appeal of its products? Mass availability via increasing numbers of high-street stores as well as online ordering, puts it in the same category as other less luxurious mass-market retailer brands. Could its products become commoditised and less valued as they lose their rarity value? “Putting this into context using Added Value’s Brand Archetype™ methodology, Chanel’s discreet but sensuous image correlates with its associated archetype: ‘the Lover’ – a voluptuous, passionate, sensual character embodying a sense of intimacy, subtlety and secretiveness. 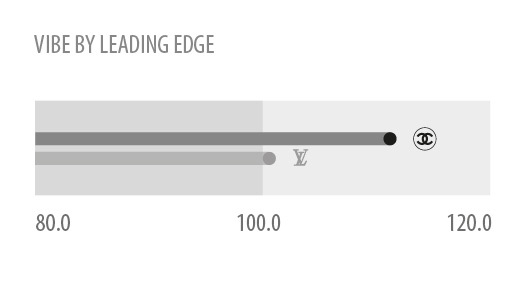 “By contrast, Louis Vuitton scores heavily on ‘Ruler’ traits: authoritative, structured, flawless. The eponymous founder started out as a maker of trunks in the 19th century – solid, practical products with their famous unpickable locks – and the association with travel and adventure has run through the company ever since. “Both brands have been eyeing the potentially huge, fast-growing and newly consumerist market of China for a long time. 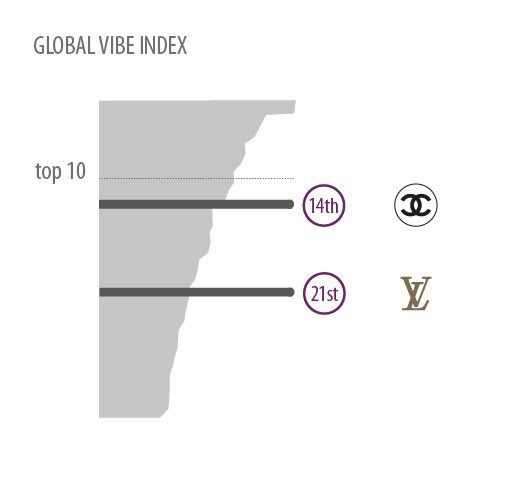 But Chanel registers a higher VIBE score there than Louis Vuitton, despite the fact that the latter fashion house has been established there for longer. So, according to Added Value, Chanel’s emphasis and subtlety and tradition, its historical pedigree, is still firmly based on the values and activities of its founder. While Louis Vuitton’s audacious multi-channel marketing blitz may seem the best tactic to generate Cultural Traction™ and brand vibrancy, this is only true if the product lines continue to reflect the core brand values of luxury, refinement, quality and desirability. It is harder to maintain an aura of exclusivity within a model of mass-market distribution. “Chanel’s more conservative, organic approach – staying true to the founding principles and trading on the company’s well-publicised history – is distinctive in a globalized marketplace dominated by low-cost production lines churning out millions of identical units. In this context, individuality and rarity seem to be disruptive qualities in their own right. “The next stage for the luxury house, just as for Louis Vuitton, will be to effect more daring reinvention from within without compromising the principles underlying its success so far. “Both brands – French, historic, with a whiff of nostalgia for l’ancien regime – achieve their weakest VIBE scores in the ‘Excitement’ category. To raise this score they will have to stop trading on their pasts so much and look to the future,” Added Value concludes.